Leave it up to an untimely illness I missed the opportunity to see the author live, but said illness did allow me time to finish reading the book. It was through social media, i.e Twitter that I learned of the author. Twitter opened me up to his work on Jack and Jill Politics, The Onion, Netroots Nation and appearances on networks like MSNBC. He’s known for his comedic chops and is (in my opinion) a political activist technologist, who analyzes and then communicates, the political, the technological and the racial in a comedic and palpable way. Needless to say that I was pleased as punch regarding the release of How to Be Black, and even more pleased after reading it. How to Be Black is a memoir/manual about Thurston’s black experience in America and and that of his selected panelists, including a white Canadian. The story is told as sort of a comedic instructional manual on blackness that left me laughing out loud as well as shaking my head in agreement with some of his examples. The “manual” portion of the book including how to be the black friend (maintaining your cultural connection and serving as intelligence for your home base, while educating white folks), the black employee (doing the job you were hired for, while making the company, diverse, non-racist and cool) and in this particular season, the next black president (with an extensive list of duties). These roles are all easily identifiable and their descriptions are both humorous and sad because they all delve in to the navigational issues encountered while being black in America. Interspersed through the manual are not only Thurston’s experiences but those of his panel. Of particular interest to this reader was the question of when Thurston and each of the panelists realized they were black. In some instances, blackness or the knowledge of one’s blackness was based on the blackness they lived in and were surrounded by versus the blackness that was used divisively, as in the case of Cheryl Contee who described herself as beige (based on the proximity of her physical color to it) when a white nursery school mate informed her that she indeed was black. Contee was introduced early to “othering”. I found How to Be Black not just entertaining but found it to be first: a model for educating in blackness which was best exemplified by Thurston’s mother’s multi-pronged approach to his education, one that would get him to Harvard (via Sidwell Friends school), and one that would constantly envelope him positively in his blackness (via the Ankobia program, and a collective of his mother’s black and brown friends and; secondly and most importantly that being black and experiencing blackness is not a singular thing. There’s not one way to be black and not one way to do it. Being black is being yourself and doing those things that are critical to your own experience, not something that is prescribed. 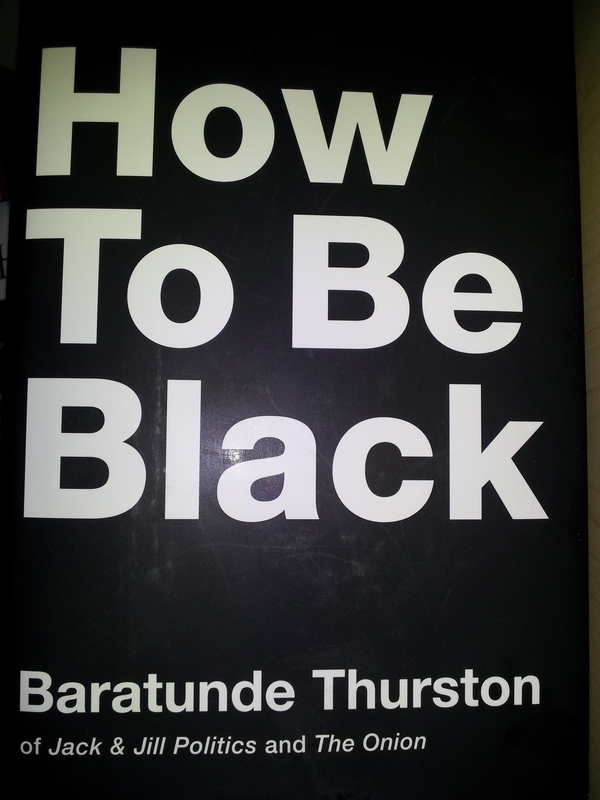 If you haven’t read How to Be Black yet, I suggest that you do. You will be enlightened, entertained and will recognize some portion of the experience because it is part of your own.